Spend the day at Colonie Center shopping dozens of popular stores, grabbing a bite to eat at one of its enticing restaurants, and even seeing a movie. The shops at Colonie Center offer everything you need, including clothing for men, women, and children, footwear, accessories, home goods, jewelry, fragrances, beauty products, electronics, gift items, and so much more. Browse the directory below, and make a plan for your next visit to Colonie Center! Colonie Center is a 1.3-million square foot regional shopping center with over 100 specialty stores. You can expect everything from major retail stores like Boscov's and Macy's to top notch restaurants like The Cheesecake Factory and P.F. Chang's. At Francesca's, you'll find a constantly changing and unique assortment of the latest women's clothing, accessories, and gift items. The menu at Charleys features a delicious assortment of signature Philly steaks, including Philly Cheese Steak, Pepperoni Cheese Steak, and Chicken Philly. Looking for a bargain? Shop Christmas Tree Shops for everything from home decor and furniture to kitchen items and gifts at affordable prices. Boscov's is a one-stop shop for everything you need. The department store offers apparel for men, women, and children, home items, shoes, jewelry, accessories, and more. Find thousands of beauty products in categories like cosmetics, skincare, fragrance, and haircare at Ulta Beauty. Browse the huge selection of quality musical instruments at Hilton Music Center. They also offer private lessons, seminars, repairs, and other related services. 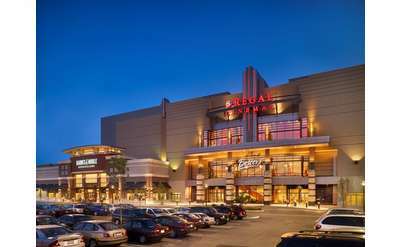 Regal Cinemas' Colonie Center location features 13 screens, stadium seating, and the Regal Premium Experience with high-quality visuals and sound. Book your session at iSmile Studios for school portraits, headshots, and other professional photography services, including on-location sessions. Shop the men's and women's fashions you know and love with new deals every day at J.Crew Mercantile. Crazy 8 is the place to shop for kids' clothes. Find apparel and accessories for babies, toddlers, and kids, with sizes from newborn through 14. Aleem Threading Studio offers eyelash extensions, waxing, and Henna tattoos in addition to threading. At Nordstrom Rack, you can shop steeply discounted Nordstrom merchandise, as well as other brand-name apparel carried by the store. Shop more than 100 vendors in one place at Artique. You'll find gift items, collectibles, antiques, original art, specialty food, and much more. Time & Time Again will handle all of your watch and jewelry repair needs within a timeframe that works for you. GNC sells an array of vitamins, supplements, protein powders, weight management solutions, natural remedies, and other health-related products. The collection of maternity clothes and accessories at Motherhood is designed to make all expectant mothers feel beautiful and comfortable. Bose offers an innovative assortment of audio devices, including cutting-edge varieties of headphones and speakers. Boscov's Optical accepts many vision care insurance plans and sells eyeglasses, prescription sunglasses, and contact lenses. American Eagle Outfitters features on-trend casual clothing, footwear, and accessories for men and women. At LensCrafters, you can shop eyeglasses, sunglasses, and contact lenses, and you can even schedule an eye exam. On-site eyewear repairs and adjustments are also available. Express Factory Outlet sells stylish apparel for men and women - including jeans, shirts, dresses, blazers, and sweaters - at discounted prices. Champs Sports offers an enticing array of athletic apparel and accessories for men, women, and children that appeals to everyone from serious athletes to ath-leisure lovers. You'll find the perfect assortment of greeting cards, gift items, ornaments, home decor, and other special momentos for yourself or a loved one at Hallmark. At Menchie's Frozen Yogurt, you can pick your flavors and your toppings! Pay based on how much your yogurt weighs when you're done making it. Shop Claire's for moderately-priced jewelry, hair products, makeup, bath & body items, and fashion accessories. Claire's also offers ear piercing services. Whole Foods Market is a grocery store that prides itself on selling the finest natural and organic foods available to support your healthy lifestyle. Shop the dazzling collection of earrings, necklaces, rings, bracelets, and watches at Zales, and find something for that special someone. Shop The Children's Place for all your kids' clothing needs. The store has apparel and accessories for babies, toddlers, and children in sizes newborn to 14. The Cheesecake Factory has something for everyone! The restaurant's extensive menu features over 250 items plus more than 50 signature cheesecakes and desserts. The USPS office at Colonie Center offers more than a dozen different services, including general delivery, priority mail, and stamps. Aeropostale offers casual apparel for young men and women at affordable prices. Merchandise includes everything from jeans and t-shirts to skirts, dresses, and accessories. Shop thousands of beauty products from more than 200 of the industry's top brands at Sephora. On-site experts are also available to offer advice and make recommendations. Shop stylish clothing, accessories, sleepwear, activewear, and more for women in sizes 10 to 30 at Torrid. Find trendy tops, dresses, and pants for women in sizes 14 to 28 at Lane Bryant, a retailer with an emphasis on fashion, not just size. ecoATM is a kiosk that offers instant cash for your old cell phones and tablets. Once deposited, your devices will be responsibly recycled. PINK sells swimwear, sportswear, apparel, accessories, and fragrances specifically for young women. Shop jewelry, handbags, scarves, home decor, gift items, and other fashion accessories at Charming Charlie. Shoe Dept. has a great assortment of men's, women's, and children's shoes, plus handbags and accessories. Shop the latest styles of clothing, swimwear, sleepwear, shoes, and accessories for girls and guys at rue21. Payless Shoe Source is a one-stop shop for all your footwear needs. It has casual shoes, dress shoes, boots, and more for men, women, and children. GameStop has video games and accessories for all the popular consoles, including Xbox, PlayStation, and Wii. Got acne? Stop by the Proactiv Zoom Shop in Colonie Center to stock up on the company's popular acne treatment products. Moe's has an enticing variety of fresh ingredients - including meat, veggies, and other toppings - that you can use to create a custom burrito, quesadilla, bowl, nachos, and more. Five Guys offers delicious, juicy burgers and hot dogs, plus fries, soft drinks, and milkshakes. Choose from dozens of available toppings. Visit Right Way Driving Center to take the New York State 5 Hour Course, Defensive Driving Workshops, or Driving Lessons. H&M offers the latest fashions for men, women, and children at affordable prices you're sure to love. From shirts and pants to sweatshirts and outerwear, you'll leave H&M with an entirely new wardrobe. Piercing Pagoda has an enticing variety of fine jewelry for you to browse. You can also take advantage of on-site ear piercing services. The Body Shop offers fashionable, all-natural hair care, skin care, and cosmetic products from around the world. Shop Spencer's for one-of-a-kind gifts for guys and girls, including t-shirts, accessories, posters, drinkware, and much more. Visit AT&T for all your telecommunication needs, including those related to cellular phones, tablets, and wireless Internet. Lee Nails is conveniently located within Colonie Center. Stop by for a manicure, pedicure, or other service. You'll find casual clothing in sizes ranging from newborn to children's size 12, plus accessories and toys for babies and kids at Gap Kids & Baby Gap. The extensive menu of Asian-inspired dishes at Stir Fry 88 includes items like pork fried rice, cashew chicken, and teriyaki beef. Contact Colonie Center's Management Office for inquiries related to marketing, advertising, and leasing, as well as the Center's hours of operation. Shop an extensive selection of quality clothing and accessories for babies and toddlers, and children at Carter's & OshKosh B'gosh. Shop shoes, sneakers, boots, and sandals for men, women, and children at Famous Footwear. They also sell accessories, like socks, insoles, and backpacks. Victoria's Secret is a leading retailer of lingerie, undergarments, beauty products, sportswear, and accessories for women. Browse an extensive selection of hats at Lids, including sport, fashion, and collegiate hats from the hottest brands. Related apparel and accessories are also available. Dunkin' Donuts serves hot and cold beverages, sweet treats, and sandwiches fast enough to keep up with your busy schedule. Shop Via Roma for your next special occasion. The menswear retailer has an extensive selection of suits, shirts, ties, and shoes. Shop Sports Zone for jerseys, clothing, home decor, pennants, memorabilia, and more from your favorite MLB, NFL, NBA, and NHL teams. Interested in learning more about joining the U.S. Armed Forces? Visit the Recruiting Station located within Colonie Center. 25 Silver Boutique carries some of the industry's most popular brands of fashion accessories, jewelry, and handbags for women. Foot Locker sells a wide variety of athletic shoes and apparel from top brands for men, women, and children. Mr. Subb has custom-made sandwiches (both hot and cold), as well as soups, salads, wraps, and more for you to enjoy while you take a break from shopping. Fresh-baked pretzels are the specialty at Auntie Anne's, but they also have lots of other treats to enjoy while you shop at Colonie Center. Channel your inner nature-lover with outdoor apparel, footwear, and gear for men, women, and children at L.L. Bean. The retailer also has items for the home, and even a special line of products just for pets. For every $10 spent on BoxLunch's assortment of apparel, home goods, accessories, and gift items, the company helps provide a meal through Feeding America. Visit BJs Restaurant & Brewhouse at Colonie Center for appetizers, steaks, pasta dishes, burgers, salads, and other American fare. Their extensive menu has something for everyone. At Nori Japan in the food court, you can order rice bowls, noodles, soup, salads, Japanese entrees, and sushi. You'll find a brilliant assortment of rings, bracelets, earrings, necklaces, and watches at Kay Jewelers, along with exceptional service. Arby's signature ingredient is meat. Take a break from your shopping to enjoy roast beef, brisket, turkey, and even pepper bacon sandwiches, plus lots of other items. Visit Perfume Outlet to find a new perfume or cologne for yourself, or shop fragrances to give as gifts. From lotions and candles to shower gels and bubble bath, you'll find all the fragrant personal care items you need in one place at Bath & Body Works. Visit Joli Hair & Spa on the Lower Level of Colonie Center for a whole new hairstyle or even just a quick trim. Visit Sun Shades and browse a vast assortment of different types of sunglasses in a wide range of prices. Glennpeter Jewelers offers an exceptional jewelry buying experience, and has an exquisite array of rings, bracelets, earrings, necklaces, watches, and other pieces. Heroes Hideout is your one-stop shop for comic books, vintage and new toys, action figures, apparel, and a variety of other pop culture-related items. The experienced professionals at Liberty Travel are ready to help you book your next adventure to destinations around the globe. At the Spectrum Store within Colonie Center, Spectrum customers can pay bills, receive service for their existing products, and purchase upgrades. The menu at P.F. Chang's features mouthwatering Asian-style entrees, soups, salads, and even sushi made from scratch. Girls ages seven to 14 will love shopping at Justice, with its exciting selection of the latest fashions, shoes, and accessories. Get everything you need for all of your pets. You might even find a new friend to bring home with you. Barnes & Noble has much more than just books, including music, movies, and a vast assortment of gift items. As one of America's best-known department stores, Macy's is fully stocked with clothing, shoes, furniture, gifts, and housewares from top brands. Sprint offers the newest selection of phones and tablets, plus multiple talk/text/data plans to choose from. Shop apparel, accessories, and shoes for men and women at Gap, including pants, tops, dresses, sleepwear, and athletic wear. White Barn features hundreds of candles with different bases and designs in more than 50 fragrances. Chirstopher & Banks sells high-quality, stylish apparel and accessories for women of all ages and sizes. Stop by Hot Cuts, a salon conveniently located right inside Colonie Center, for a quick trim or a whole new 'do. Cricket offers affordable wireless service, plus the latest phones from the most popular manufacturers. Shop moderately priced clothing for women in sizes 4-16, as well as jewelry and accessories, at New York & Company.